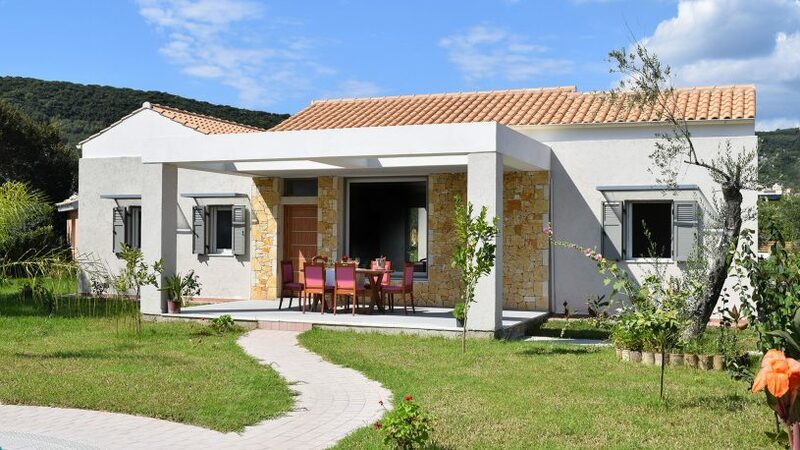 The Three Stars villas (EROTAS– HELIOS– THALASSA) are a complex of a three new luxurious villas built in an area of 2000 m2. They are surrounded by lovely gardens with olive, orange and lemon trees and many colorful flowers. 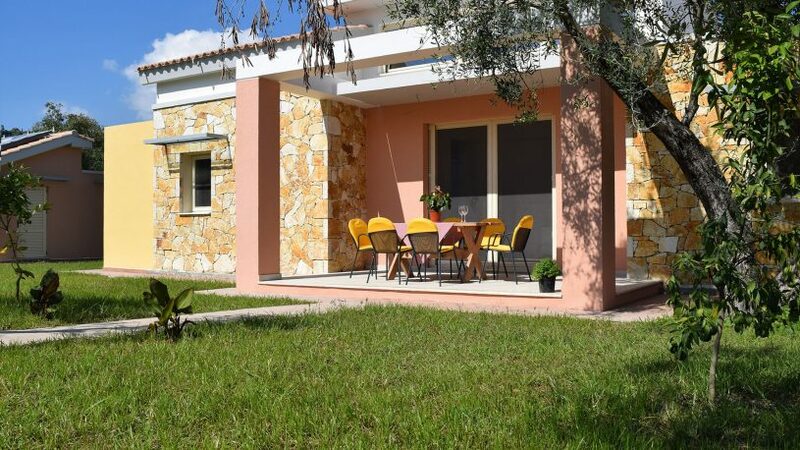 The complex is located on Corfu Island, one of the most cosmopolitan islands of Greece in the Ionian Sea, about 20 km from Corfu city and only 100m from the beach. 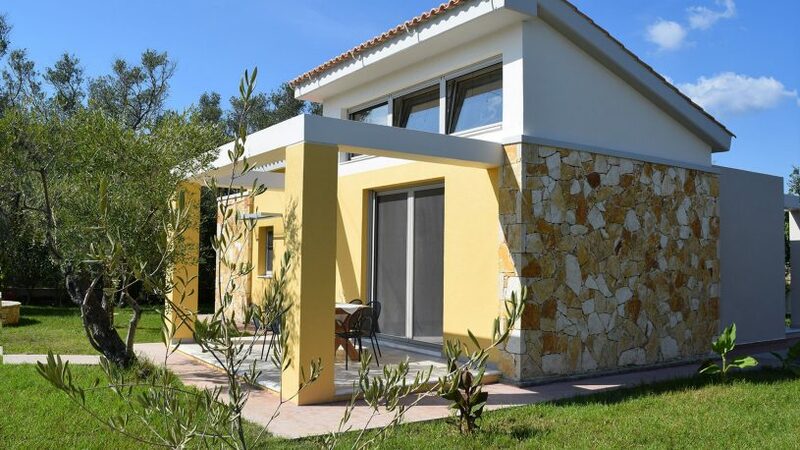 Each Villa is a one level design therefore also suitable for families with children, fully equipped with furniture and all necessary electronic devices. The interior is decorated in a simple but modern style. A private swimming pool with Jacuzzi, as well as sunbeds are provided in each luxury Villa. In addition a BBQ area is also available in every Villa. Guests can enjoy their food and beverages while soaking up the view of the beautiful pool and gardens from the lovely terrace. The Luxury, Tranquility and Comfort coexist harmoniously with the blue sky and the green landscape providing unique and unforgettable moments. A destination you will love and you will combine with the most fantastic holidays. The villas are located in Moraitika, a small village in the east-south part of the island. Traditional tavernas, souvenir shops, supermarkets, bars, beach sports centers, car rental and ATM are all located in short walking distance from villas. Public transport to Corfu city is easy and frequent.